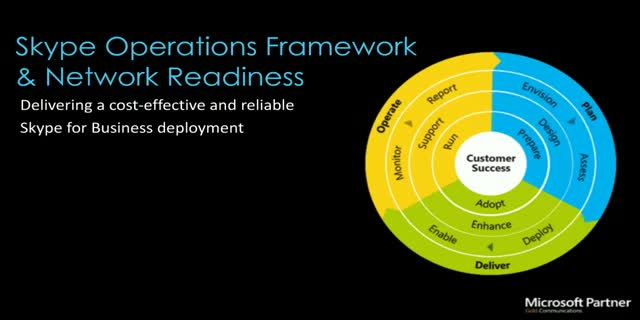 Microsoft just announced the Skype Operations Framework (SOF) - which incorporates network pre-assessment. This session will take a deep dive in to how the program can be used to deliver and effective and reliable Skype for Business Deployment. One of the most critical elements in a successful UC deployment in the cloud or a hybrid environment is ensuring the IT infrastructure is optimized to cope with the demands of real-time communications. However, organizations often fail to pre-assess their network and UC environment and later find out during deployment the network is unable to handle the demands, causing a poor user experience. Join us to learn more about the new SOF and network pre-assessment requirement.